It is always a sensitive subject when a brand new product has problems albeit cosmetic. One invests so much else in such a purchase apart from [mere] money. I am not product bashing. Just expecting a level of quality which matches your very considerable investment. I do hope my comments and others here, haven't spoilt your pleasure in your purchase too much. In these circumstances I would try the telescope out in the first instance, solar telescopes are not equal for many reasons. 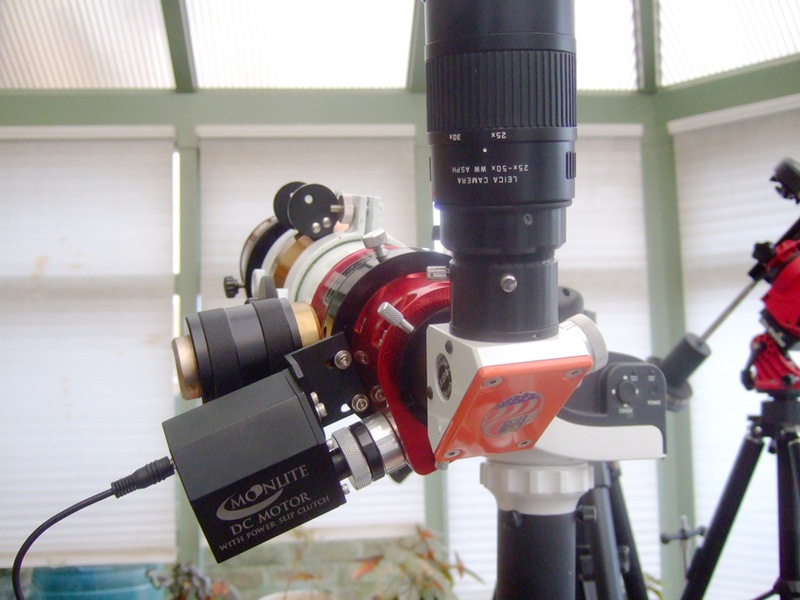 If I received a new solar telescope with a cosmetic issue but it had an excellent performance I don't think I would take the risk that a pristine replacement would be as good. The Quark "saga" was a case in point. I'm at work now and I'll have to look at it more closely with a magnifying loop when I get home, but I don't believe it's gouged into the drawtube. It appeared to just be the top layer of anodizing. Magnifying loupe? I think that is excessive. 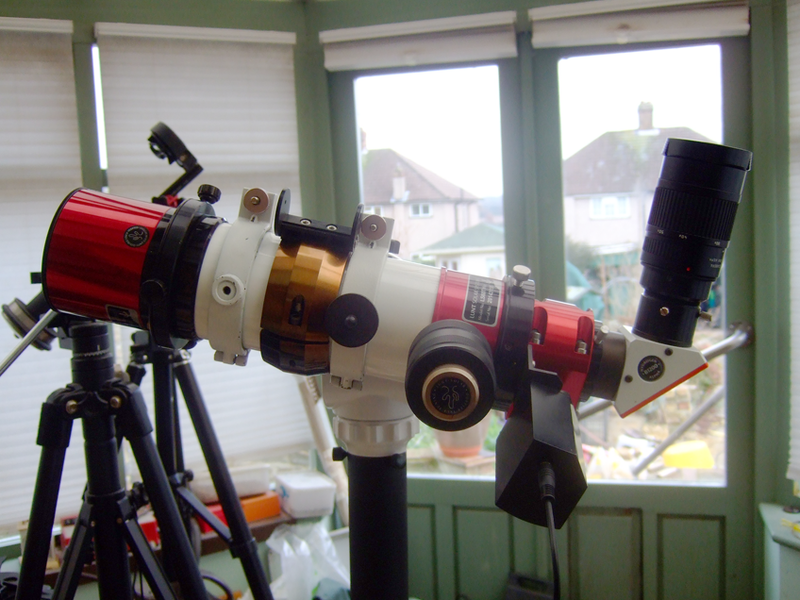 £5k is a lot to pay for a telescope, I paid half that for my 60mm and for me that was a huge investment. Mine is the same as yours and I didn’t see it as a problem in so far as it isn’t affecting function nor is it really a cosmetic issue since this is a moving part. 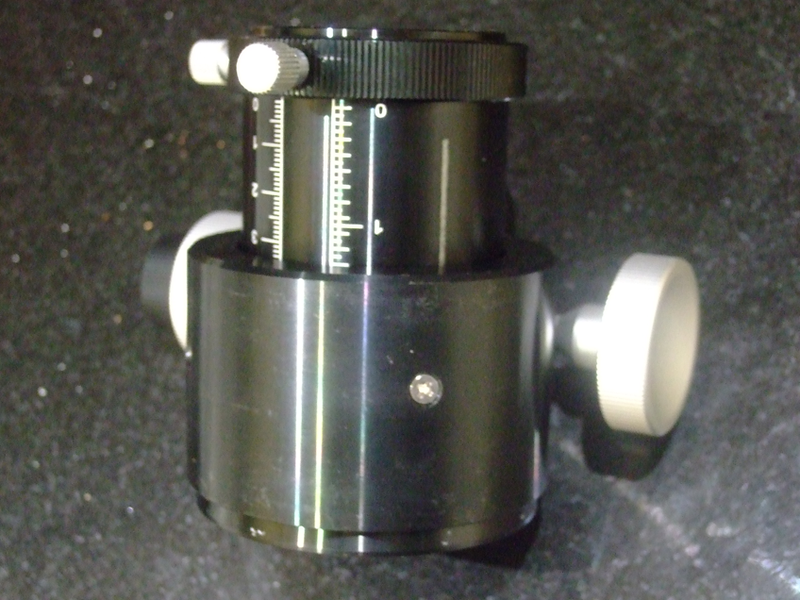 A scratch on the tube or non-functional parts of the focuser or lens would be an entirely different matter. Have you tried running this issue past Lunt? No, not at all. I'm still excited about it and as I said, it all seems functional. But yes, if I purchase something that I am led to believe is new, I expect it to be in pristine condition. I am more than capable of adding my own personalized markings. When I get a chance to fully test it, I will certainly do so. As I said, everything seems to be functional. I'm mostly concerned with the etalon. If everything checks good and it provides good performance, then no, I see no reason to send it back and risk getting a worse one since I know they're not all created equal. I would just like someone to tell me why a brand new item has such a glaring quality escape. I don't know how deep it goes into the parent metal, if at all. I'll see if I can catch my finger on it and I'd use the loop more out of curiosity. Part of my job is to inspect broken and damaged aircraft parts and figure out if we can fix them and how. Like I said, it all seems functional, I just really need to test the etalon with some good sun exposure and not through a tree. I completely believe it to be simply a cosmetic issue, but would like some answers as to why it even exists in the first place if this truely is a new item. Another part of my job is quality control. Per Lunt's policy, if you purchase from a dealer and that item is found to be damaged upon receipt, you are to contact that dealer and follow their return policy for inspection and repair. So I'm going that route first. If it is a new item though, I believe this should fall into Lunt's warranty, as this was obviously not shipping damage and appears to have come straight from them. 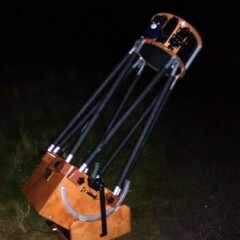 So response from the shop is that the telescope is in fact new, as I suspected, and had not been opened since it left Lunt. 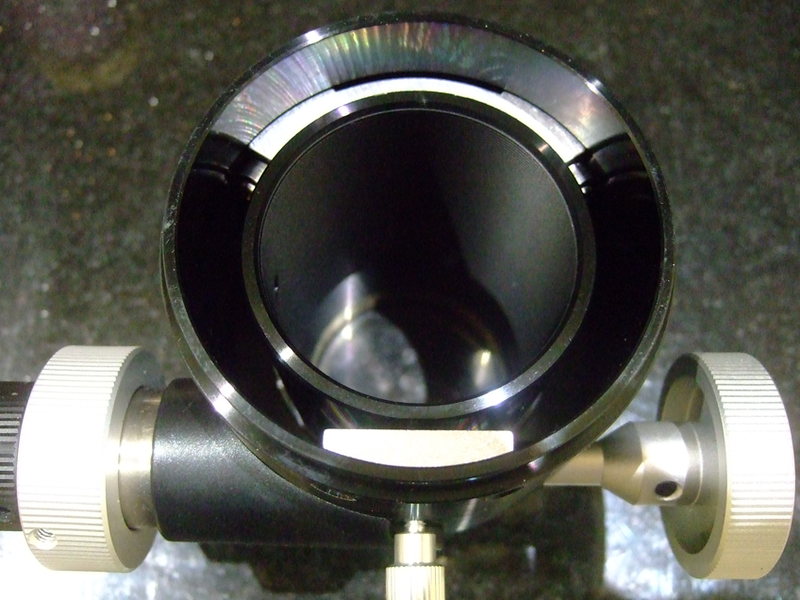 They also stated the wear of the anodize coating is normal and will occur after only a few travels of the focuser, which it would have done under testing. If that's the case, that's some pretty terrible coating. I work with aircraft components and am very familiar with anodize coatings and I've never seen one wear that fast. 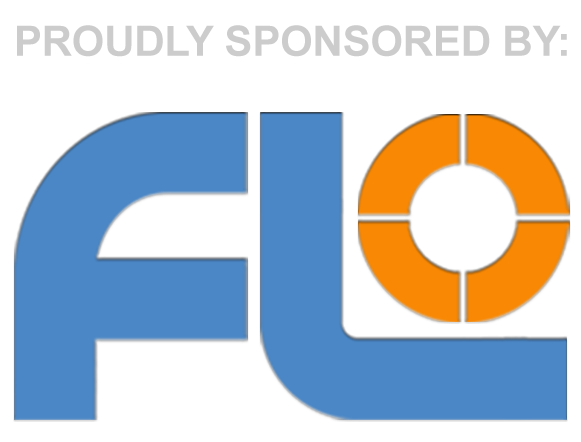 One of the main purposes of anodizing is to prevent wear. Now I think I'll get in touch with Lunt and see what they have to say. Dug out my original LS60 focuser and it has the same marks on both sides, this is caused by the rollers that it runs on so inevitable I guess. The Moonlight replacement has similar marks but not as pronounced and they can be nearly rubbed out with my finger so same design just better quality. The reflective blanket is a good idea. I tend to overheat badly with my beach towel over my head. Re. The marks on the draw tube. Would these wear naturally over time from the rollers inside the housing. Could be that they rack it in and out a few times before the coatings are fully hardened and then tighten things up so that the focuser won’t go slack over time? Just received a response from Lunt. They said the wear is normal and can actually occur from testing and sent me two pictures of their own. While I find it mind boggling that a coating designed to help prevent wear is actually wearing, at least I have piece of mind knowing it most likely came like this from the factory. Now I just need a sunny day to test the etalon. I agree about mind boggling, ask for one that doesn’t have the marks! Of course I am not trying to say what you should do as that decision is yours. But personally I wouldn’t accept it, and I would ask them to show me images of any scratched draw tubes that appear in their marketing material !!! My original focuser has the same marks so as they say it's "normal" the replacement Moonlite has similar marks but these can be rubbed out with a finger. You can see the rollers that cause the marks and the marks in my pics here. Seriously though, I simply wouldn’t want the scope unless a discount I was happy with was forthcoming. 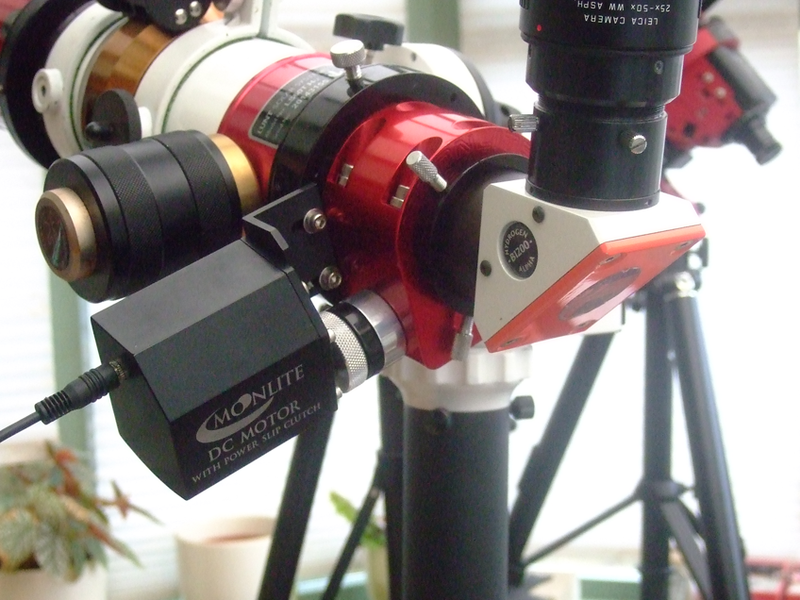 These scopes are not cheap. 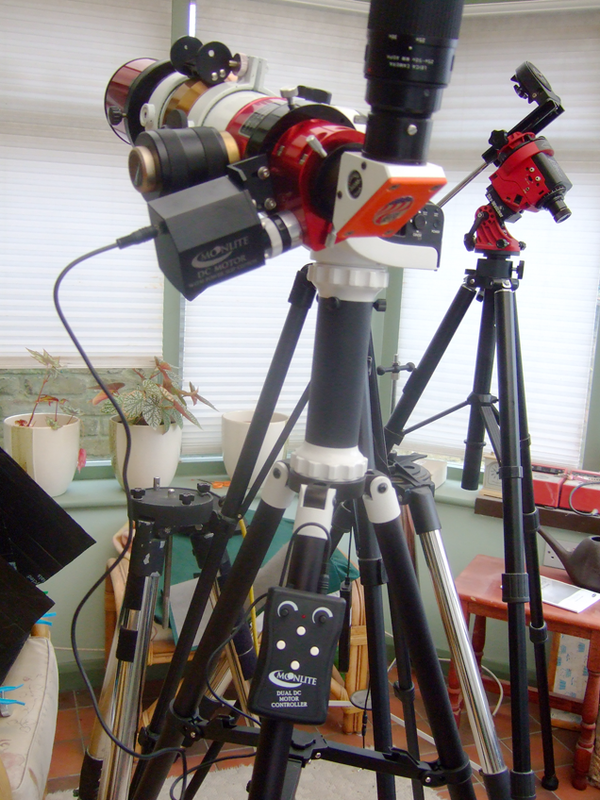 These scopes are not cheap. Oh man! This is way ahead of the pack for best line of the year. Congrats on what must be an awesome scope! I have an LS50DS and love it. I hope those marks turn out to be a non issue for you. They didn't appear to affect the function so I was never overly concerned about them. I suspected what they were from, I was just extremely surprised and disappointed they were present on a new scope. I have no intention of returning unless there's something wrong with the etalon. Unfortunately, it's not going to clear up around here any time soon. I think they put too many clouds in the box for packing material and they all got out when I opened it. I think they put too many clouds in the box for packing material and they all got out when I opened it. Listen up here folks! He’s the one. 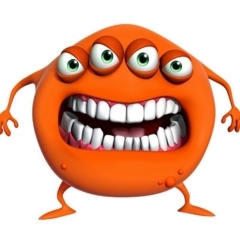 It’s him. Blame him! For all of those that care, all seems to be in order. I was able to get out for a few minutes this afternoon before the sun got too far down. Probably not the best time to try and view the sun, just before sunset or right after sunrise, but it's the only time I've had free this week when the sun is still up. In any case, I was able to get the sun focused and was able to pressure tune to the point that I was able to start seeing granulation in the sun. The rest of the fam couldn't, but I'm not sure they really knew what to look for either. There wasn't a LOT of contrast, but I wasn't expecting there to be as there isn't much solar activity at the moment and I'm only using a single tuner. I just did a quick scan around the disk for any solar prominences, but I didn't notice any that were immediately obvious. If I'd had more time, I probably would have played with the tuning and scrutinized the limb a bit more. Now I need to start saving up for a DS and a focuser. Practise, practise, practise.....The more you look, the more you see. Always check out GONG before starting, it will give you details of what's visible - AR and filaments as well as the proms and their position. Well done! Solar altitude is your friend. The sun only reaches about 10-12 degrees maximum altitude at this time of year. That small difference [from earlier] is well worth it. The detail starts going off again after lunch. Find a spot where there are no roofs below the sun to avoid thermal agitation. Chimneys are bad for local seeing too. A light wind can carry heated air across your view. Observing is like a sport. You have to do more to get better. Make haste slowly. It can often also be a balance in terms of altitude of the sun vs seeing conditions which tend to get worse during the heat of a summer's day. Early morning or later afternoon can often be better in summer I've found.